Last year, I looked at the styles of Batman head, hidden under the cowl. At the time, the majority of figures relied on the headband to provide the ‘bat eyes’. 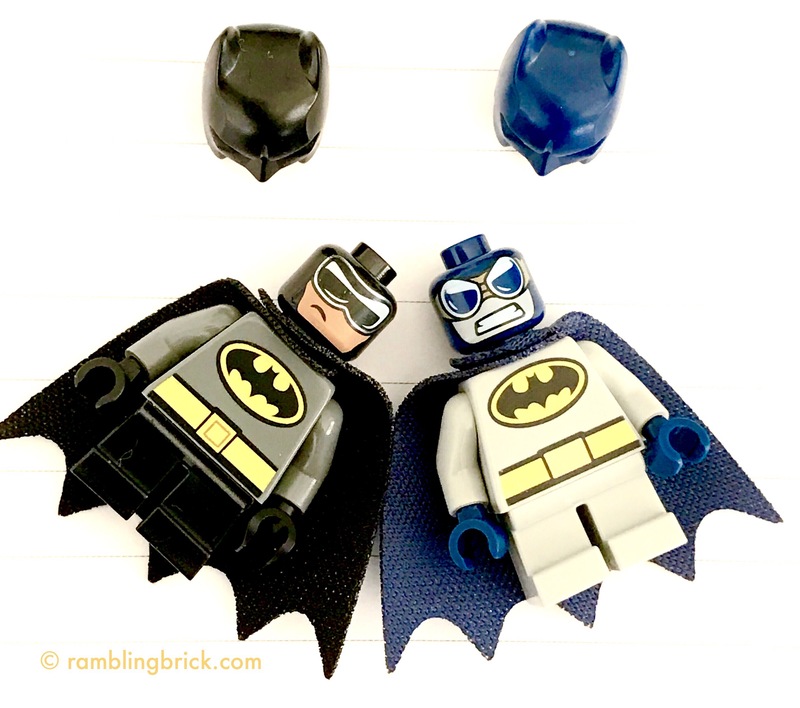 Last year’s Mighty Micro Batman, however, was sporting some nifty shades with his black balaclava! 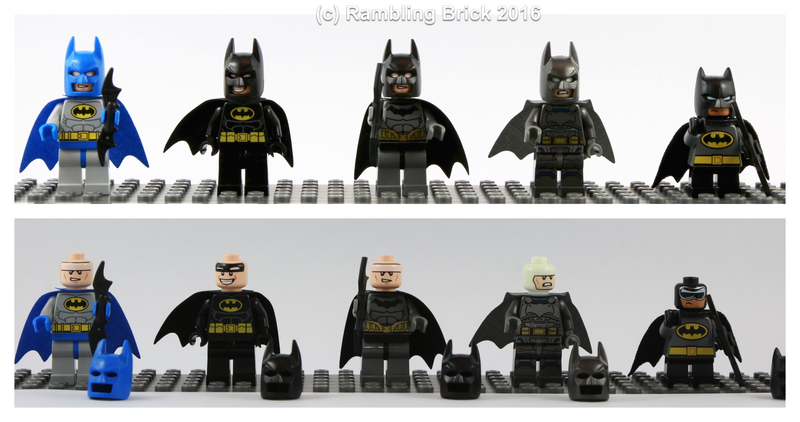 This year’s Batman figures have focused on the LEGO® Batman Movie: variations on the second figure on the left above. 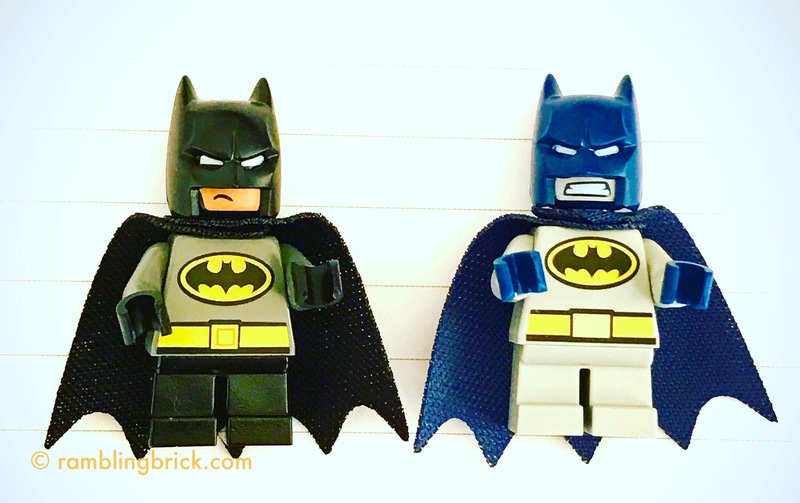 While they have had their own range of expression, they are just white lines on the black head band kind of minifig head: not even really of the type for a tennis headband. 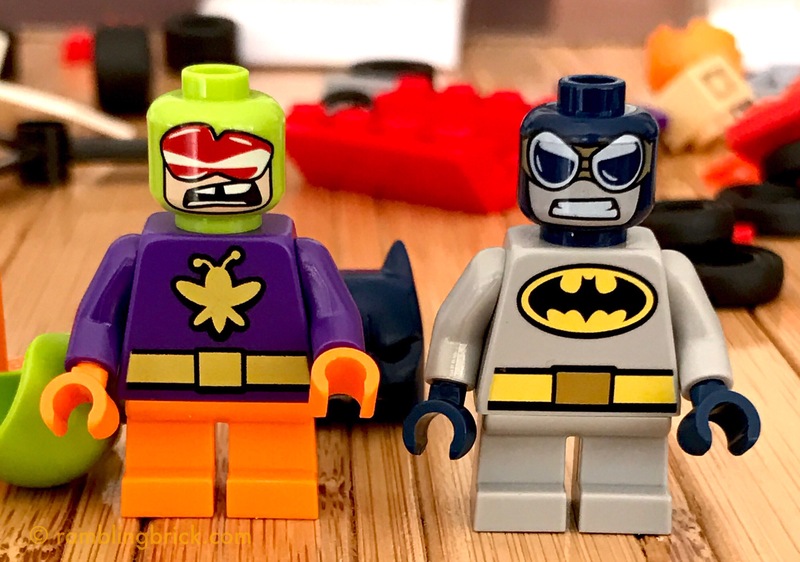 I picked up a copy of DC Superheroes Mighty Micros: Batman vs Killer Moth 76069, to see how things had changed for the caped crusader since last year. He is now in a small helicopter, and light stone grey. Last year we chuckled at the DC Mighty Micro Batman’s head. This year we have seen a variation in dark blue. Again a much simplified torso compared with other minifigs- no muscles printed on, short legs – and in light stone grey. But his head is fantastic: dark blue balaclava, comical ski goggles and an aggravated expression. Ready for the ski jump. Or a bank robbery. As a bonus, We also get Killer Moth, wearing rose colored glasses looking like he has been punched in the mouth! I guess we know how that pursuit ended up! Who is your favorite Mighty Micro character this year? DC or Marvel? Hero or Villain?